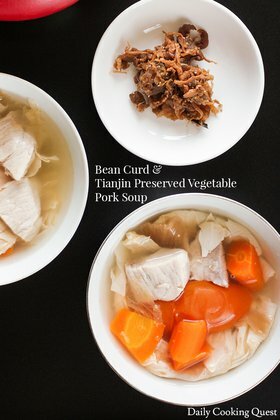 One of the soup that my Mom often cooked for us, this daikon and pork soup is simple and tasty, and the addition of salted dried cuttlefish turns this into a delectable affair. If you cannot find salted dried cuttlefish, you can substitute with ebi (dried shrimps), fish sauce, or shaved bonito. 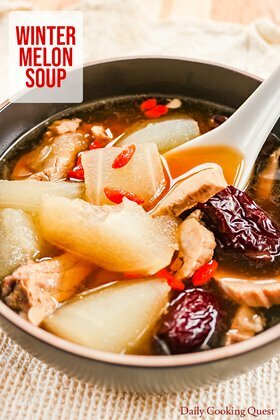 Place all ingredients in a soup pot and bring to a boil. 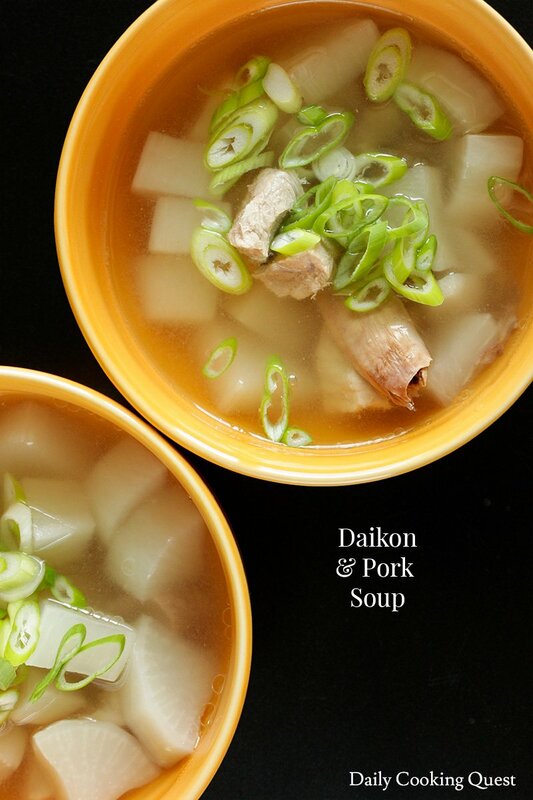 Reduce heat and simmer for 1 hour or until both the daikon and pork are tender and fully cooked. 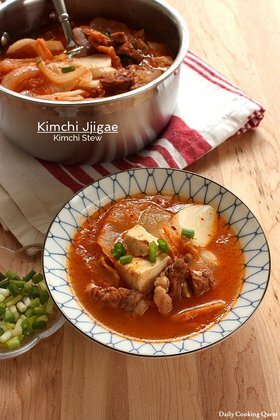 Turn off heat, serve hot and garnish with sliced scallions.